Elbow Arthritis can be due to Osteoarthritis (from wear and tear), Post-Traumatic Arthritis (from a fracture or dislocation) or Rheumatoid Arthritis (a systemic, inflammatory disease). Elbow Arthritis can cause pain, stiffness, weakness, and dysfunction. The initial treatment of Elbow Arthritis should be non-operative. Non-operative treatment includes a steroid injection, decreasing or eliminating painful activities, and occasionally physical therapy. A rubber-like sleeve worn over the elbow can sometimes help decrease pain by providing stability, warmth and compression. Non-steroidal anti-inflammatory medications, like Ibuprofen or Naprosyn, can help decrease mild pain. If those non-operative treatments don’t work, then surgery may be considered. There are different surgical options, depending on how advanced the arthritis is and where it is inside the elbow. Arthritic pain that occurs mainly at full flexion or full extension is usually due to bone spurs that impinge between the bones of the joint at the ends of motion. Bone spurs are the body’s reaction to arthritis. At both full elbow flexion and full elbow extension a convex area has to fit into a concave area (‘Tab A goes into Slot B). If a bone spur gets in the way, then these parts don’t fit together nicely at full flexion and/or extension. Instead, the bone spurs bang together, causing pain. Bone spurs can be removed by either arthroscopic surgery (if the bone spurs are small) or open surgery (if the bone spurs are large), markedly decreasing pain. The arthritis may continue to progress, but many years of increased comfort may be provided by this simple surgery. Pain during mid-motion is usually due to a loss of the joint’s normal slippery cartilage surface. Pain at rest is usually due to joint inflammation (synovitis), which often occurs in response to arthritis. Elbow catching, locking, or the feeling that something is ‘loose’ in the joint are often due to loose bodies, which are pieces of bone spurs and damaged cartilage that have broken off and are floating around the joint. Elbow Arthroscopy is an outpatient, minimally-invasive surgery that can remove bone spurs, inflammation, and loose bodies. This often relieves the pain that occurs at full flexion, full extension and at rest. Mid-motion pain will usually not be improved, and if the arthritis is significant, over time the inflammation and rest pain will recur. In some patients, such as those who have already had their ulnar nerve moved (putting it at risk unless it’s directly visualized), or those undergoing additional surgeries, surgery may be better performed through an open incision. Removing bone spurs, inflammation and loose bodies to decrease elbow pain does not require a lot of post-operative physical therapy. However, if an increase in elbow motion is desired, the amount of post-operative therapy required increases dramatically. If stiffness is a problem, release of the thickened joint capsule (the balloon around the joint) may be performed, either openly or arthroscopically (please see the ‘Elbow Stiffness’ section for more information). In order to maintain the motion that is gained during surgery, extensive physical therapy will be required after surgery. When significant stiffness is present, the ulnar nerve will usually be scarred in, and an Endoscopic Cubital Tunnel Release should also be performed at the same time to avoid problems with traction on the nerve once motion is restored (Please see the ‘Cubital Tunnel Section’ for more information). Pain throughout the entire range of elbow motion is usually due to cartilage loss, causing the joint to be ‘bone on bone’. In these cases, simply removing loose bodies, bone spurs, inflammation and the joint capsule will not be enough. A new joint surface will be required. 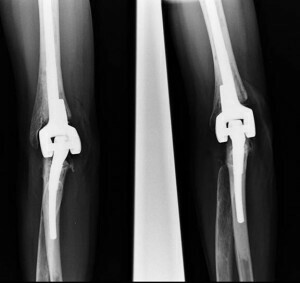 In older patients, a Total Elbow Replacement is an effective option. Total Elbow Replacement replaces the arthritic elbow with an artificial joint, similar to how knees, hips and shoulders are replaced. Total Elbow Replacement usually involves a hospital stay of 1-2 nights. The elbow is splinted for approximately 2 weeks, and then motion is begun. 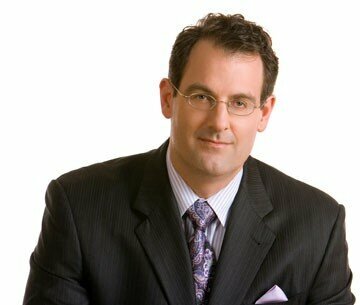 Pain relief and function are very good, but Total Elbow Replacements can loosen over time. To protect against this, there is a lifetime lifting limit of 1-2 pounds repetitively, 5 pounds once in a while. In young patients with severe cartilage loss, or in those who cannot live with a lifetime lifting restriction, the best option is usually a Fascial Interposition Arthroplasty. A Fascial Interposition Arthroplasty uses the achilles tendon from a cadaver to resurface the elbow joint. The achilles tendon is broad and slippery and can provide a nearly pain-free surface for the reconstructed elbow. This surgery can be performed on an outpatient basis. 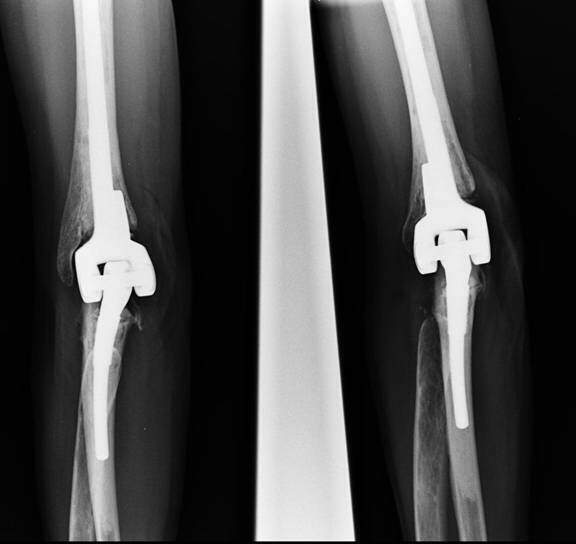 In order to keep the joint surfaces apart to allow healing and motion, a ‘hinged external fixator’ is placed about the elbow. This involves placing 2 metal screws into the humerus (the large bone above the elbow) and 2 metal screws into the ulna (one of the forearm bones), connected by a hinge to allow motion. The hinged external fixator remains in place for 4 weeks, and is then removed under general anesthesia as a second procedure. While Fascial Interposition Arthroplasty is not as predictable as a Total Elbow Replacement, it does very well in select patients without ligament or bone loss. And unlike a Total Elbow Replacement, once the Fascial Interposition Arthroplasty is healed, the elbow can be used within the limits of pain, without any lifting restrictions.